415‘000 people: That is approximately the population of Laval, the strip mall-and-suburbs city taking up the island north of Montréal. It is true that Québecois are no strangers to secessionism, and most Montrealers scoff at the “bridge and tunnel” people living on Laval island. But nobody would seriously suggest making Laval its own country. Elsewhere in the world, however, there is another island, with about the same number of inhabitants, and the status of a fully sovereign nation. Unlike some micro-states such as the Vatican or Monaco, this one comes with the trappings that Frank Zappa famously declared to be required for a proper country: A beer and an airline. It even has its own, surprisingly tasty, soft drink, a unique language, and one side of its coins. All very impressive, then. But more than any of the above, I was attracted to the island by the prospect of finding it replete with the eponymous Maltesers. Inevitably, I was in for a disappointment: As it turns out, Malta is not inhabited by small chocolate balls with a crispy centre. Instead, the island nation hosts a diverse population of native Maltese, British retirees, Italian tourists, German language students, and Brussels Eurocrats (to which each EU member state seems to be entitled in equal measure). Even if not made of chocolate, this mix was tasty: Where else could you stock up at Lemon Curd and Shortbread from Marks & Spencer, before ducking into a gelateria to get some stracciatella ice cream to lick by the beach? My morning runs along the seafront promenade served as scouting trips for culinary excursions later in the day. They did not include any Laval-style chain restaurants. Having been prized for over 5000 years due to its strategic location in the middle of the Mediterranean and its perfect natural harbors, Malta played host to many rulers. 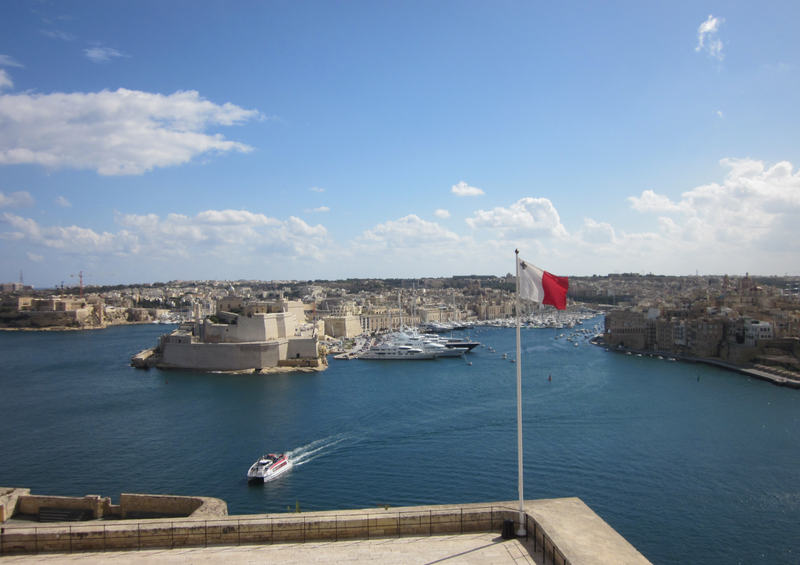 The most famous were the Knights of Malta, which built most of the fortifications and infrastructure around the scenic capital, Valletta. 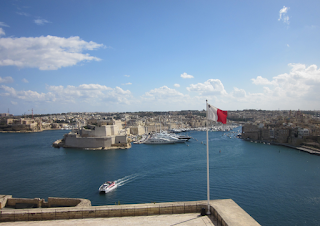 While a Grand Master’s Palace would refer to a tacky nightclub in Laval, the one in Valletta has been the seat of the government since it was completed in 1569. Around it, Europe’s smallest capital offers narrow alleys, picturesque lookouts and lovely coffee bars. But I could not help but chuckle as I wandered the streets: Seemingly every other building was home to a Ministry of something or a Department of another, flags fluttering and all. Clearly, the state must be a major employer on the island. In that, perhaps Malta is not so different from Québec. Even with the warm winds from Africa whipping up the ocean too much for a late October dip, I enjoyed a relaxing island getaway to the bite-sized nation. It may not have been covered in chocolate, but unlike Laval, Malta certainly gave me an appetite for more.